KENEALLY ON TOUR! SCAMBOT 2 NEWS! Hello! 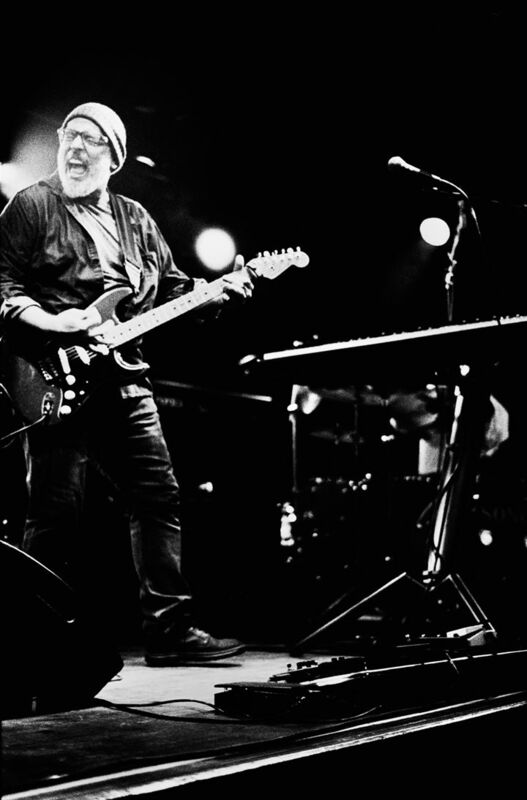 Mike Keneally & Beer For Dolphins (trio version – that’s me, Bryan Beller and Joe Travers) will be on the road beginning at the end of this week. The Travis Larson Band will open for us. The dates and info can be found here. We are all psyched! It starts with Progtoberfest at Reggie’s in Chicago: on Friday the 21st I’ll be guesting at a Keith Emerson tribute show, which has had me very busy over the last week practicing some insane keyboard stuff, and on Saturday the 22nd MK/BFD will appear at the same venue. From there we move on to the East Coast. For those of you planning to see us in NYC on Oct. 26, please be aware that there’s been a venue change: we will now be performing at Leftfield Upstairs, 87 Ludlow St. This venue doesn’t sell tickets in advance so show up early to buy tickets at the door. Travis Larson hits at 7pm. I’m excited to try out a new venue in NYC and grateful we were able to line this up at such short notice. We then wind around through Richmond, Raleigh and Charlotte. Then we’ll head back across the country for two shows at the Baked Potato in LA: the trio will play on Sunday, November 6, and on Tuesday, November 8 – Election Night in the US – Rick Musallam will join us for a full night of quartet madness. I hope you can see one or several of these shows. If you can, bring lots of friends! Bryan, Joe and I first played as a trio in the mid-’90s, and in all this time we’ve never been out of California as a trio – come out and celebrate this rare occasion with us! Here’s a nice interview I did with Cameron Piko for Echoes & Dust, primarily about Scambot 2. Keith Emerson, Gentle Giant and Kendrick Lamar are also referenced therein. Cameron is a very cool dude – he created this insanely detailed interactive map to the conceptual continuity of Frank Zappa‘s catalogue. You can easily get lost in this thing for hours. In contrast, the Echoes & Dust interview will only take up about six minutes of your time. Thanks for a very enjoyable interview Cameron! Well! On Scambot 2, during the song “Pretzels,” there are two separate sets of backing vocals, where I once again didn’t stick the lyrics in the booklet. They occur at 0:33 and 3:27. I don’t think they’re as difficult to discern as the ones in “Melting” were. You may see where this is headed. The first person to figure out those lyrics will get a bag of pretzels from me! (Gluten-free option available on request – I know a REALLY good brand.) If you do Facebook, please send me a message there (here’s my profile). If you Twitter, send me a message here. One clue – one of the lines involves the name of one of my dear departed uncles, and he had an unusual nickname, so if you hear something that seems completely grammatically bizarre, that might explain it. I suppose that this is technically some Inkling stuff rather than some Scambot 2 stuff, but since Inkling is only available as part of the Scambot 2 double-CD package, it’s virtually the same thing, yeah? I’m now putting on headphones, and I’m going to play the song “Cram” and provide a guide to some of my favorite Rick Musallam moments within it. Please refer to this the next time you listen to the song! His Les Paul appears on the far right of the stereo spectrum. 0:13 Rick tiptoes subtly into frame for the first time. 0:16 He provides commentary on his own initial utterance. 0:19 He asserts himself fully with an insouciant upward flourish, followed by a sprightly “sprang” at 0:21. Starting at 0:24, Rick begins to bring the funk in earnest for a short series of lovely phrases. 1:11 A beautifully untranscribable chord that sounds like geese complaining. 1:16 is a real gift to the song, a very memorable four-note hook that pushes along this part of the song perfectly at its crucial mid-point. At the end of the section at 1:27, his guitar literally laughs at the song. It is masterfully irreverent. 1:33 He returns to the motif he’d established back in the opening section, but more assertively. His note choices kill me here. 1:53 Another perfectly timed chord clunge. 2:00 He scrubs his strings rhythmically, adding percussive oomph to the new section. 2:09 A chromatically ascending series of quick string bends that works in perfect alchemy with what’s happening in the rest of the track right there. One of my favorite moments of the song. 2:24 A moment that is satisfying to me for reasons I can’t even explain. This little three-note descending lick frames the beginning of this new section perfectly for me, and it doesn’t make any sense why it does or should. But it does! And he follows it with the perfect chord, and, understanding that he’s just done something perfect, plays the SAME three-note lick and chord again. Then he does it a third time, but for the resolving chord, he plays a rather shocking, much higher chord, that turns out to be the first chord of a beautifully relaxed and bluesy descending chord melody. This whole episode demonstrates masterful arranging/production/performance skills, served up in real time on the spot. Way to go Ricky. 3:19 A few bars of funky chucking and quacking, providing a nice contrast to the ’70s West Coast CSNY-style acoustic stuff I overdubbed in this section. 4:24 Rick plays a perfectly complementary note to the dive-bombing low note in my solo. I overdubbed my solo months after Rick’s track was recorded, so Rick really had no idea at the time how perfect his note was in relation to it, but I choose to believe that he somehow knew what I was going to play later on. 4:35 A perfect four-note Rick-ism to close out this section. I had Mike Harris make it louder than my solo in the mix because I love it so much. 5:58 After laying low for a while, Rick toys around with a little Lydian-mode flourish that adds a very understated and nice touch to this new section. 6:35 The first of some little bluesy tossed-off licks he plugs into the spaces in my playing. I might have turned him up more in this section, but this whole closing section of the song has a haziness to it that I really like and I didn’t want anything to stick out too much. He is ubercool in this section though. 7:06-7:25 He’s still quiet in the mix here, but adding some really pungent notes that blend in with my chords, and add some dark and lovely harmonic complexity as things begin to wind down. You might not hear him, but you can feel him here. 7:32 A little two-note rising melody that I liked so much, I had Mike Harris copy/paste it (along with Kris Myers‘ deep groove) and repeat it over and over for the closing 30 seconds of the song. Ladies and gentlemen, Rick Musallam is a beautiful beast on the git-tar! I love him, and so do you! Previous Post:Mike’s final Scambot 2/Inkling song diary! Next Post:South America Satriani tour! Win free MK original drawings! Maybe!